Current available lodging includes Ursa cabin, Wapiti cabin and Buckhorn Suite (see below for details). The lodging is situated at the base of Twenty Peak and Twenty Odd Peak with one of the best maintained hiking trails in the county. While staying at TOBC, guests have access to the entire property for outdoor recreation (hiking, biking), including the lakeshore property (kayaking, fishing), just 5 minutes down the road. 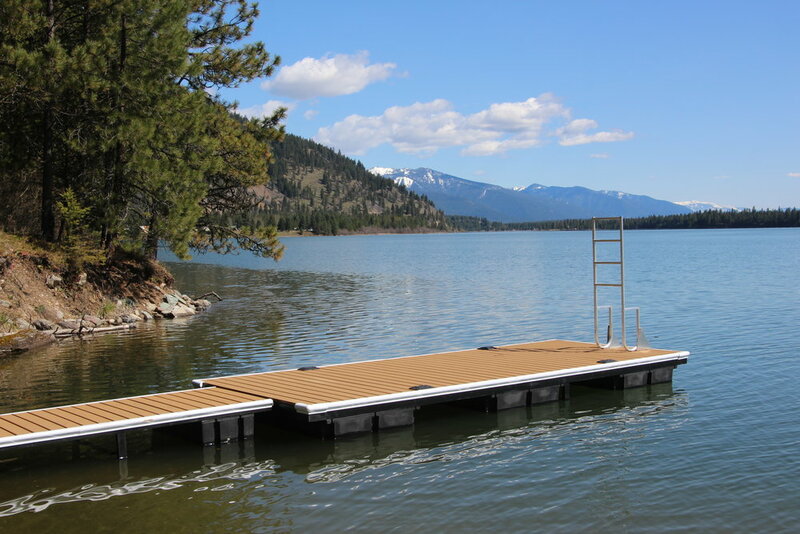 A 10 minute drive away is the recreational town of Trout Creek with several good restaurants and lounges. Ursa (latin for bear) cabin is a beautiful two bedroom, one bathroom cabin nestled in the trees. With a custom kitchen, living area with big picture windows, outdoor private deck with a barbecue, and an outdoor fire pit, it makes a perfect base camp in this wilderness oasis. Ursa cabin has two bedrooms- one with a queen size bed and one with two twin beds. There is a full bathroom with a bathtub/shower. The custom kitchen is fully equipped with granite countertops, stove, oven, refrigerator with freezer, and includes the basic amenities needed for preparing meals during your stay. There is running tap water that is excellent for drinking. The private deck has a table and chairs to enjoy the view of surrounding woods and mountains, with a gas barbecue for your grilling needs. URSA CABIN SLIDE SHOW: Click on the image above to see more pictures. The original “family cabin,” Wapiti (meaning “Elk”) has two bedrooms, 1 bathroom and a full kitchen. Each bedroom has a queen bed, comfortably accommodating 4 adults. Wapiti cabin has a wood stove, washer and dryer, large table with seating for 8 people, tv with cable and a stereo. The covered patio is a great spot to enjoy your morning coffee or to grill out and enjoy a meal. Recap the days adventures and roast marshmallows around the private fire pit. 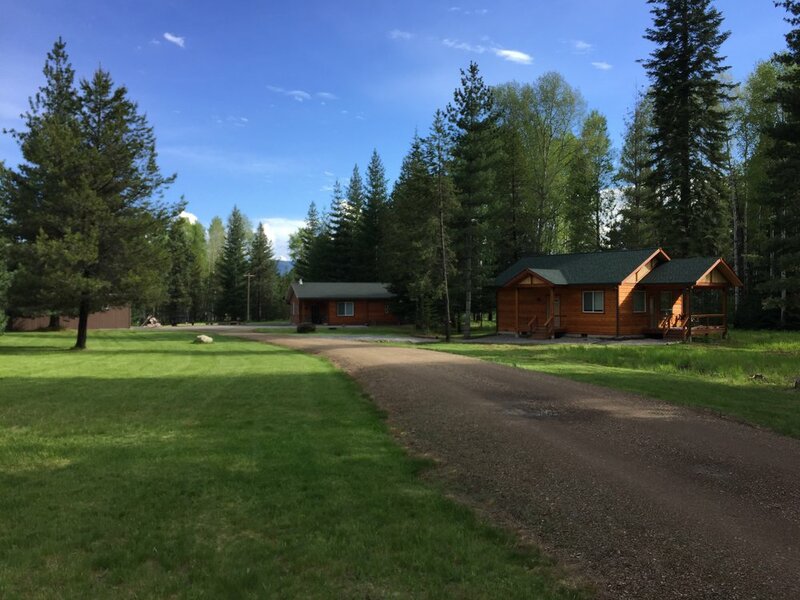 Whether your days are filled with adventure or simply kicking back with a good book, Wapiti cabin is just the quiet retreat your looking for. Antler Dance Hall is our brand new event facility that also contains a 2 bedroom, 1 bathroom suite, with a fully equipped kitchen. 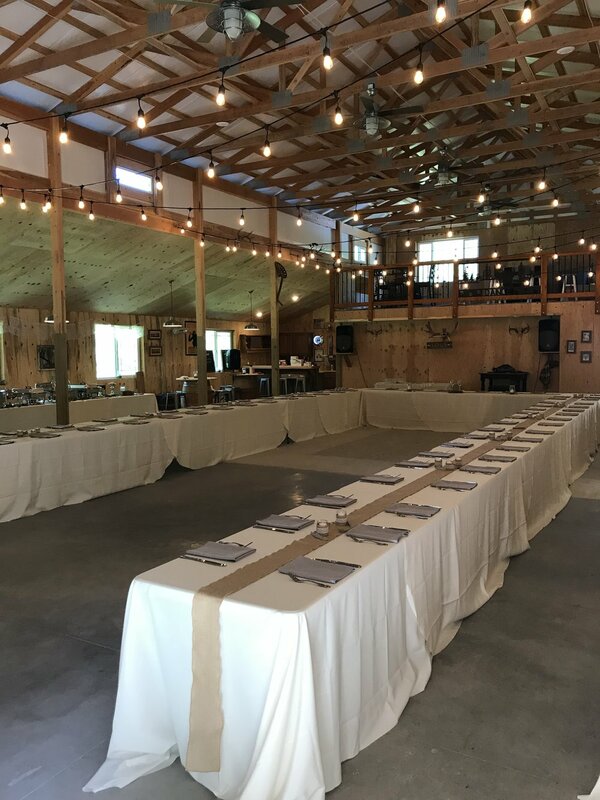 The "Hall" is a 40 ft x 52ft open area ideal for weddings, events, gatherings, or a large game area. Tables and chairs for up to 100 people. Grab a beverage and "Belly up" at our very own Belgian Gulch Saloon. The prep kitchen has a full size fridge, oven and sink and works great for caterers. Contact us for more information or to get a quote. The 3.5 acre private waterfront is just 5 minutes down the road from TOBC lodging and is available exclusively for our guests to enjoy. The property has 750 feet of water frontage on the Noxon Rapids Reservoir and features outstanding panoramic views. A covered gazebo area sits on higher ground with the private dock just below. Click on the image above to see more Lakeshore pictures.